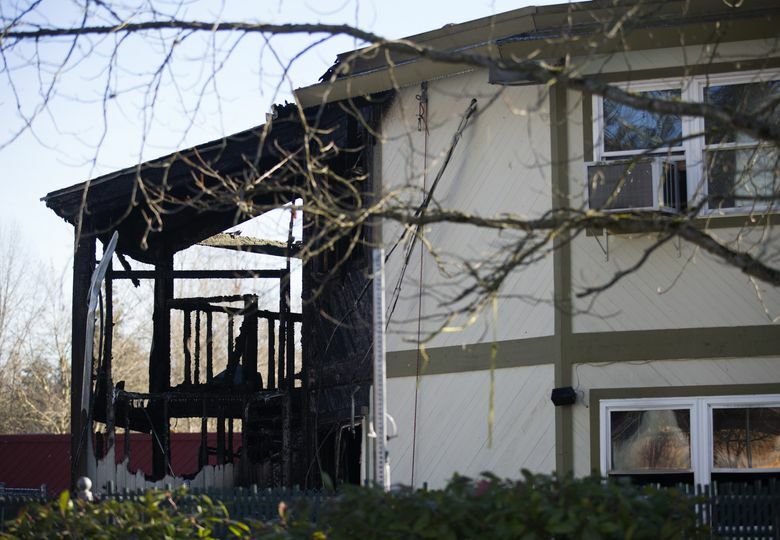 Investigators see no connection between the fire that destroyed the north side of the Bellevue mosque and vandalism late last year at a Redmond mosque. 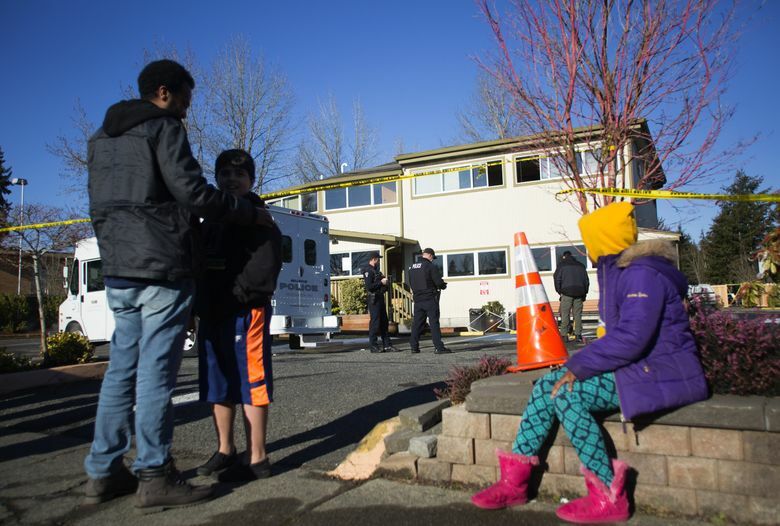 Police believe a fire at a Bellevue mosque early Saturday was set by a homeless man who had previous run-ins with worshippers there. There is no evidence of a hate crime, said Mike Hogan, King County senior deputy prosecutor. Nor is there any connection to recent vandalism at a Redmond mosque, said Police Chief Steve Mylett. Bellevue police and firefighters responded to the Islamic Center of Eastside after a witness reported flames at 2:44 a.m. coming from the 1970s-vintage, wooden building at 14700 Main St. The fire destroyed the north side of the mosque. Nobody was inside. Police found the homeless man, 37, lying on the ground at a nearby parking lot, and approached him initially to see if he was injured, said Mylett, who declined to repeat what the man said. He didn’t appear intoxicated, officers reported. The man is being held at King County Jail. 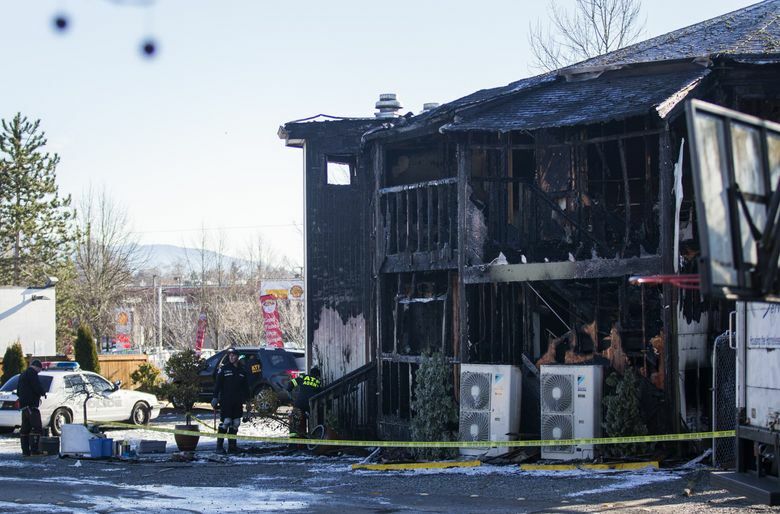 Charging papers, for second-degree arson, are expected to be filed Tuesday, Hogan said. Last year, the man came to the mosque on occasion and said he wanted to pray, Imam Faizel Hassan said after a Saturday evening news conference at City Hall. But the man used profanities and created conflicts that led the mosque to exclude him, Hassan said. “Very few people knew him. He is homeless. I would not describe him as Muslim,” the imam mentioned. The mosque, the only one in Bellevue, can draw 100 people for the five daily prayers and 1,000 on Fridays. “We want our Muslim brothers and sisters to know we stand with them,” Mayor John Stokes said during the news conference. Firefighters salvaged “many holy books that were important to the mosque,” Stokes said. Saturday prayers were moved to the Highland Community Center, and leaders plan to look at leasing space elsewhere. Hassan said nearby Catholic, Church of Christ, Jewish, Latter-day Saints, Lutheran and Seventh-day Adventist congregations all have offered temporary space. Hassan praised police and firefighters for arriving so quickly. “This is something we really appreciate,” he said during the news conference. Mosque leaders are posting updates, and a link to a rebuilding fund, at eastside­mosque.com. As of late Saturday, about $86,000 was pledged on LaunchGood, a Muslim crowdfunding site, toward a $500,000 goal. 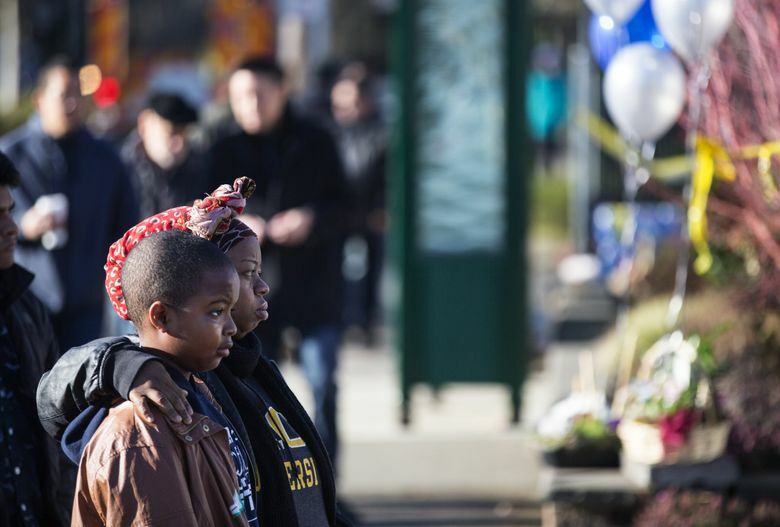 Varisha Khan, a senior at the University of Washington who grew up on the Eastside, had planned to attend midday services at the mosque Saturday with her family. Earlier in the day, Arsalan Bukhari, executive director of the Washington state chapter of the Council on American-Islamic Relations, urged people to not jump to conclusions about motive. 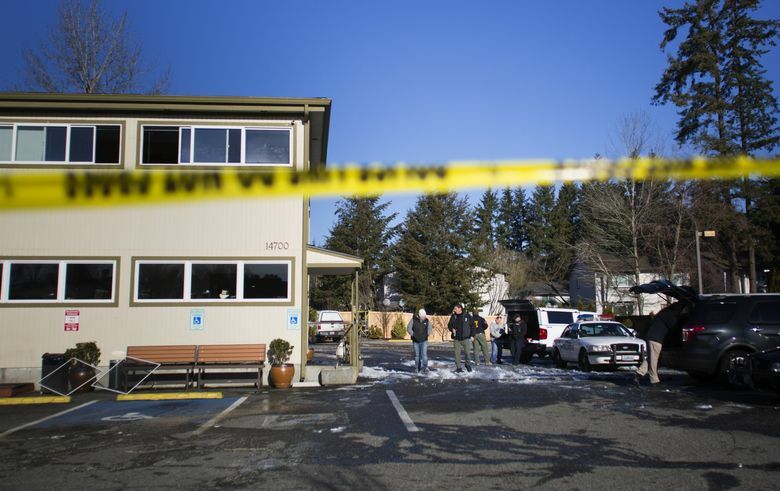 In the past week, in an apparently unrelated incident, an Auburn man who had allegedly threatened to kill members of the Islamic Center of Eastside was charged with malicious harassment, a hate crime. In Redmond, the sign in front of the Muslim Association of Puget Sound was damaged last month and weeks earlier. Redmond police said they were notified the morning of Dec. 17 that the metal face of a granite slab in front of the mosque had been damaged overnight. At the time, police asked for the public’s help in finding the person responsible. Police described looking for a tall, thin, young white male wearing dark clothing and a dark baseball cap. Police were investigating that incident and the one Nov. 21 at the mosque — the largest mosque in the Puget Sound region — as possible hate crimes. In August, Redmond police received several anonymous calls threatening worshippers at that mosque. Those calls followed the June 12 shooting at an Orlando, Fla., nightclub that killed 49 people and wounded 53 others. The gunman in that attack, who was killed by a SWAT team, had pledged allegiance to the Islamic State, officials said. Information from The Seattle Times archives is included in this report. Matt Day: 206-464-2420 or mday@seattletimes.com.